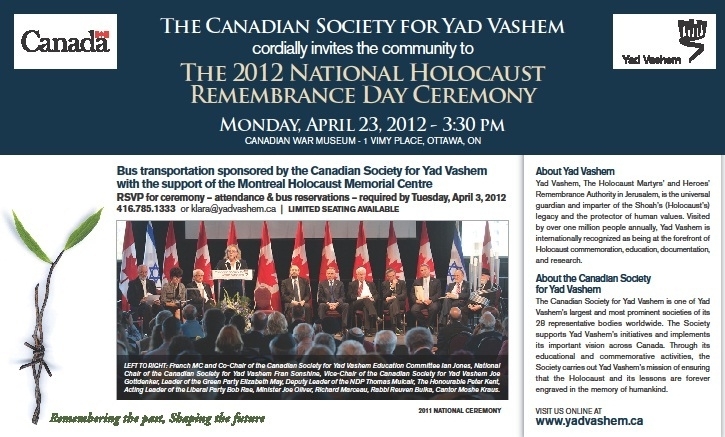 UPDATED April 16/12: As announced at the Israel Truth Week Conference the Canadian Society for Yad Vashem is paying for a bus to take passengers from London & Hamilton to Ottawa for the 2012 National Holocaust Remembrance Day ceremony on April 23rd. All 50 seats are now confirmed. An email has gone out to registered passengers along with the itinerary and pick-up points. If you would like to be on the waiting list in event of a cancellation please email Mark Vandermaas: mark@israeltruthweek.org — and provide your name and phone #. GOOD NEWS: Rabbi Jonathan Hausman, BA, MA, JD, our evening keynote speaker at the conference, is flying up to Canada from Boston for the express purpose of riding the bus with us. Those of you who attended the conference know the rabbi was very excited with our work to defend democratic values in Caledonia, and with the Israel Truth Week concept as a tool to reposition the anti-Israel movement. With his continued leadership in participating in our Yad Vashem trip to honour victims of the Holocaust he is showing his commitment to support our Canadian effort to help unite Jews and Christians in the struggle for truth and justice. YES, IT WILL BE A LONG DAY: It will, indeed, be a long ride to and from Ottawa, and we will all be very tired by the time we get home, but you’ll be travelling with some other great people who are willing to endure some inconvenience in order to pay our respects to the victims of the Holocaust. 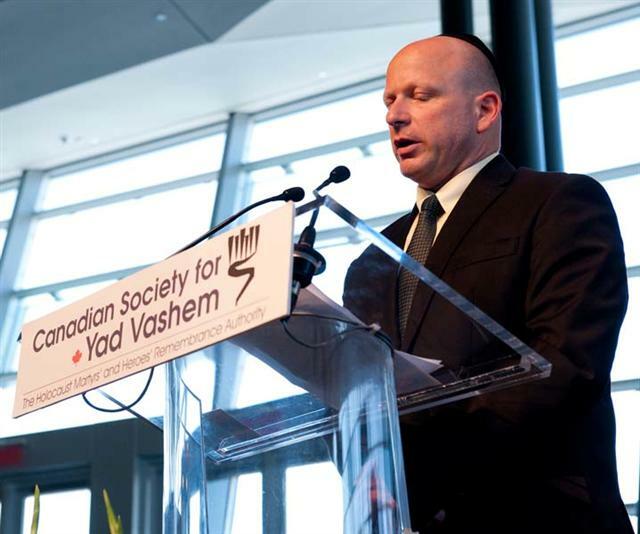 After seeing the pictures and info from the 2011 ceremony below, I’m sure you will agree it is an honour to be invited – and sponsored – by the Canadian Society for Yad Vashem to participate in this event, and it will be a trip you will remember for the rest of your life. Indeed. Thank you to all those who are joining us to stand with our Jewish brothers and sisters, and thank you to all those who would have loved to have gone but for other commitments or health reasons. Thank you for your good wishes and thoughts. 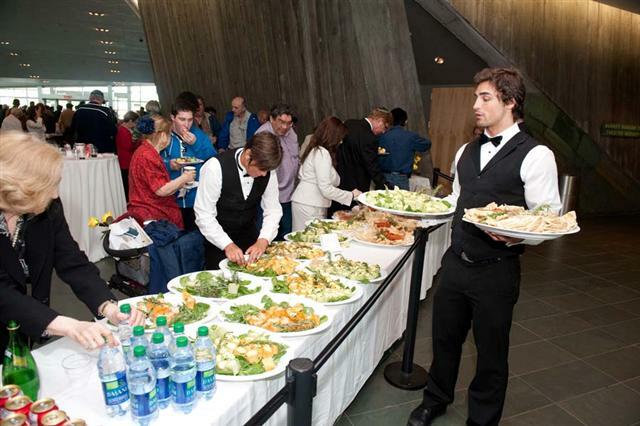 The reception & ceremony will be held inside the Canadian War Museum, but the museum will not be open to non-paying guests (us). In any event our time will be fully accounted-for so there will not – unfortunately – be time to tour the museum. The bus will have a washroom. Please bring a lunch/snack for the trip up to Ottawa, in particular, as we are on a tight schedule and will not have time for an extended meal break. We will be making only a 10-15 minute ‘stretch your legs’ stop on the way there. We will not be stopping in Toronto. Please contact the Canadian Society for Yad Vashem directly for info on buses leaving from Toronto: 416.785.1333, klara@yadvashem.ca .